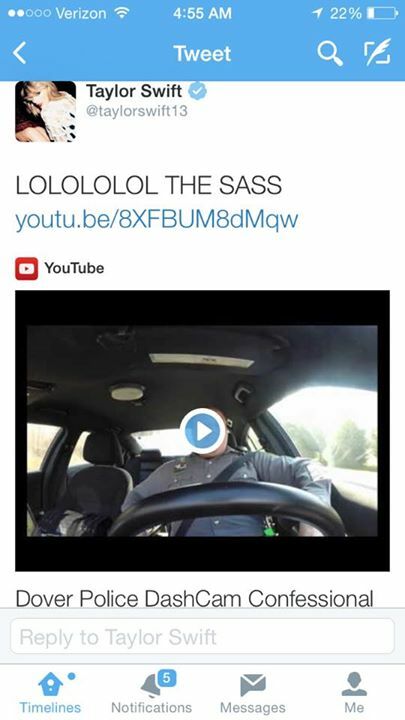 Last week a police officer from Dover, Delaware caught global attention when a video of him singing to Shake It Off by Taylor Swift was uploaded on YouTube by the Dover Police Department. The video is really hilarious and it’s too good not to watch. The police officer who has since been identified as Master Cpl Jeff Davis is seen singing the song word for word. It is funny how he puts a straight face when waving to people outside his car at intersections then he gets back into his singing after driving off. The police department apparently posted the video on YouTube as an initiative to show that Cops are also humans and counter the negative perception of law enforcement. Taylor Swift has since responded to the viral video on Tweeter.